Mercy Otis Warren has been described as perhaps the most formidable female intellectual in eighteenth-century America. 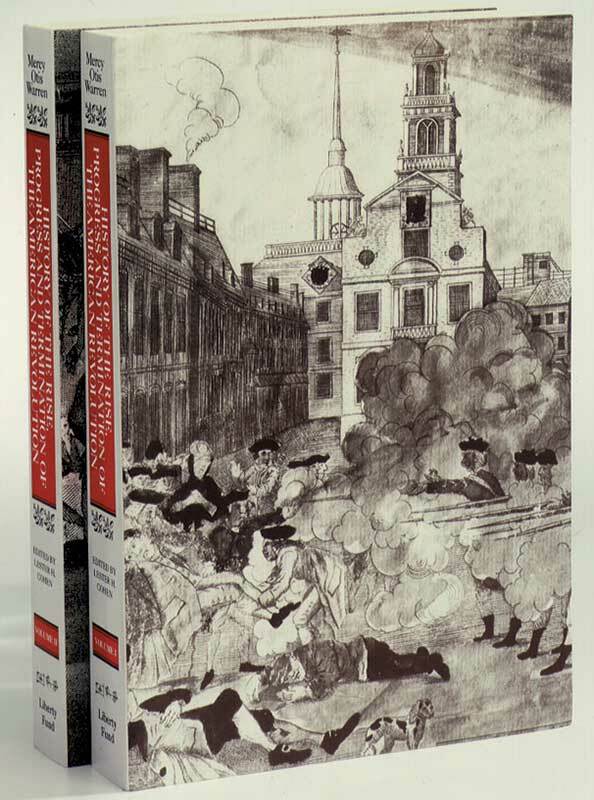 This work (in the first new edition since 1805) is an exciting and comprehensive study of the events of the American Revolution, from the Stamp Act Crisis of 1765 through the ratification of the Constitution in 1788–1789. Steeped in the classical, republican tradition, Warren was a strong proponent of the American Revolution. She was also suspicious of the newly emerging commercial republic of the 1780s and hostile to the Constitution from an Anti-Federalist perspective, a position that gave her history some notoriety. Lester H. Cohen taught history and American Studies at Purdue University. Volume 1: Foreword, bibliography, editor's note, list of abbreviations, index. Volume 2: Index for both volumes.